A collection of quick and easy homemade guacamole recipes to try. 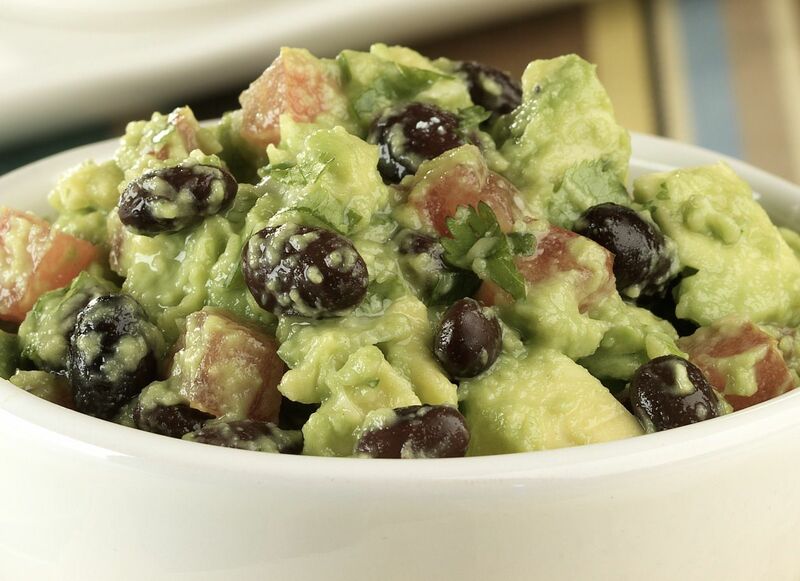 Pair your guac with a homemade salsa or your favorite bean dip and you've got yourself a feast! If you're looking for the perfect fresh avocado dip, you'll find a variety of simple guacamole recipes here, whether you want a quick and easy guacamole recipe that you can whip up in five minutes flat, or a traditional fire-roasted homemade Mexican guacamole recipe for a Cinco de Mayo party menu, you'll find it here! Enjoy fresh seasonal avocados while you can with a tasty homemade guacamole dip. In this easy black bean guacamole recipe, avocado pairs with black beans and traditional guacamole ingredients for a rich and textured black bean avocado dip recipe. Perfect for adding a bit of protein and healthy fiber to your homemade guacamole. This is also a great guacamole recipe for kids. If you need your avocados to turn into guacamole super quick, or you've never made guacamole before, this is the fastest and easiest guacamole recipe ever. Using just a few simple ingredients and pre-made salsa to "cheat" makes this homemade guacamole recipe simple to prepare and absolutely foolproof. Along with a basic homemade salsa recipe, a simple guacamole recipe should be in every home cook's repertoire, especially if you're vegetarian or vegan! A quick and easy Mexican guacamole dip recipe using all fresh ingredients and spiced with fresh Mexican jalapeno peppers. Serrano chiles would also work well in this easy dip recipe. If you like Mexican guacamole or spicy jalapeno peppers, try this recipe – one of the best guacamole recipes ever and the perfect accompaniment to any vegetarian Mexican food meal. It may seem a bit odd to put mayonnaise in homemade guacamole, and I'll admit this recipe is by no means traditional! However, you don't really taste the mayonnaise. It just makes the guacamole smooth and creamy, which I love! For a vegan version, use an egg-free ​vegan mayonnaise. An easy guacamole recipe. Enliven your homemade guacamole with a burst of color, texture and superfood nutrition by adding in a handful of pomegranate seeds! Isn't this the most beautiful guacamole you've ever seen? In addition to the superfood pomegranate seeds, most nutritionists consider the avocado to be a wonderful superfood on its own. It couldn't get any better! This guacamole with pomegranate is also gluten-free, vegan and suitable for a raw foods diet. Another quick and easy Mexican homemade guac recipe using all the traditional fresh ingredients and spiced with a touch of cumin and chili powder for a rich and savory flavor.